hello semi local fellow slicktop estoril owner - love the mito's. looks like big brakes too. 18's? I generally have a no 18's rule, but mito's might be the exception. Please keep me in the loop. I try to get down to Griot's M car day in the late summer. hope to see you there. Griot's M Car day is one of my favorites. Lots of cool and rare BMWs down there. When I get the Mito's dismounted I will send you a PM. Very pretty car! I've slowly warmed up to the looks of them with no spoilers. Always wanted one, but there's still something classic about the non spoiler look. Looking forward to seeing progress. I put Estoril right up there with Techno Violet. These cars came in the best colors IMO. New wheel looks nice. What made you make the change? I seem to remember the first wheel you had being a smaller diameter wheel. 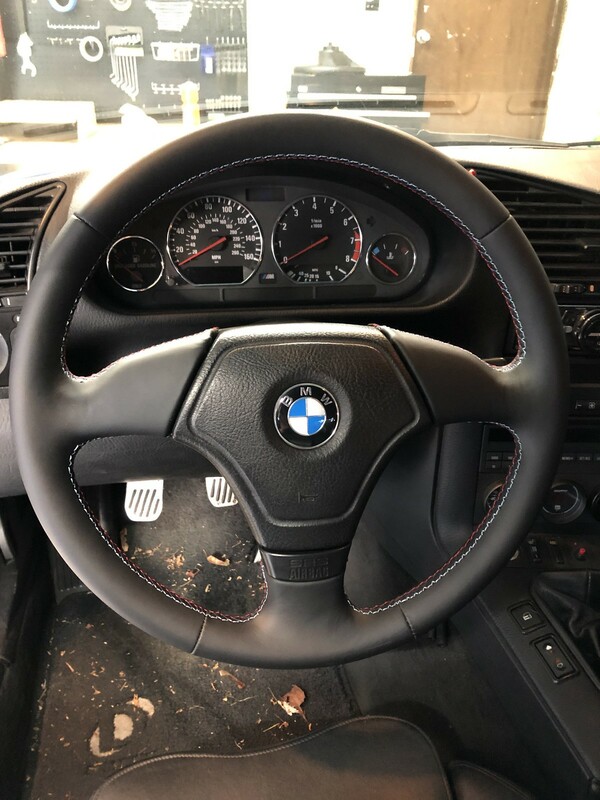 I like the thumb grips on the earlier wheel. And the later wheel is no fatter. I like thicker wheels now that I have been driving 2008 era BMWs with thick wheels compared to my redone E36 3 spoke. Airbags are a pretty good reason for change. I wouldn’t remove an airbag from a car unless I had a cage, 5 points and a hans. Those safety systems are intricate and removing one piece of them isn’t the best idea. 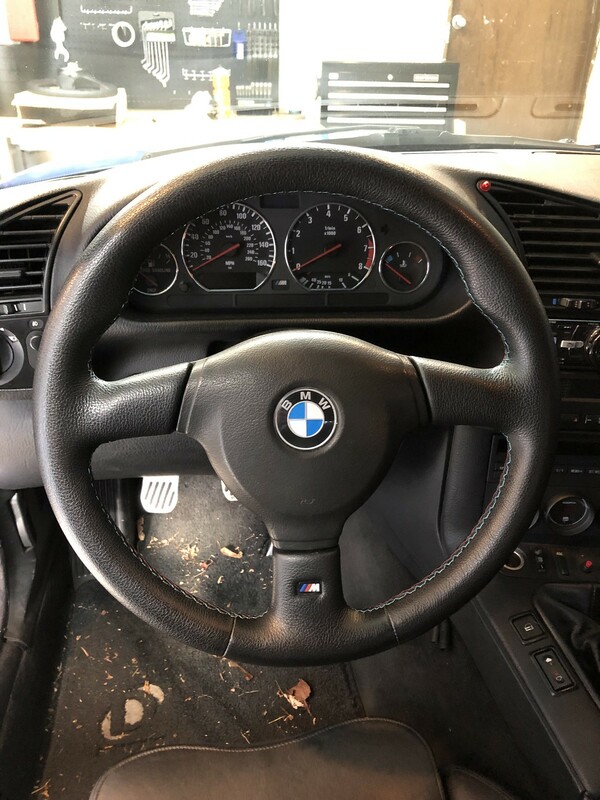 If you ever decide to part with the other (old) steering wheel - let me know. All times are GMT. The time now is 10:53:40 PM.